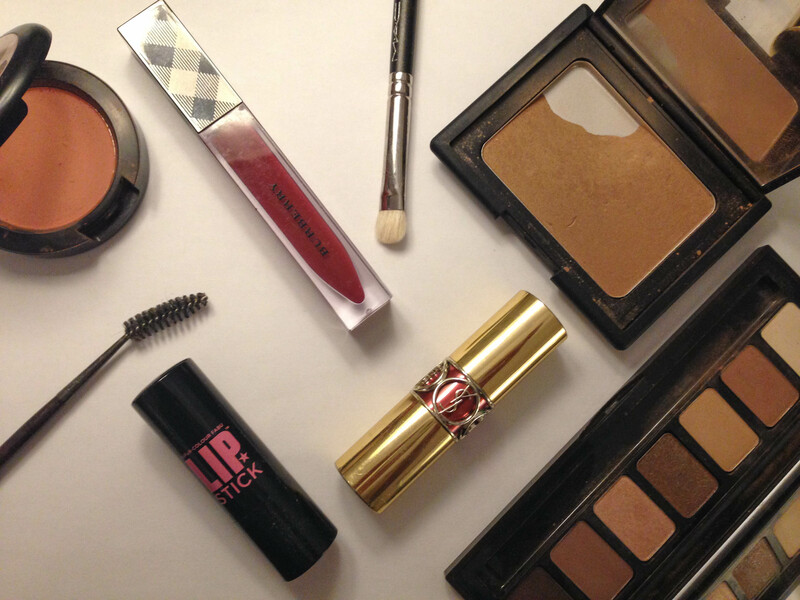 #EnhancingYourNaturalBeauty: All about bronze and easy sheer lips. What if Make up was not made to cover yourself but enhancing your natural beauty? oh well, I’ve tried purple lipstick and redish eyeshadow as well. Maybe it is just a cultural thing: When in such country like England, I felt like no one really care what lipstick shade i was wearing going back to South of France was like a wake-up call: Keep it natural. Keeping it natural, with that little something extra that enhance your trait, a bit of bronzer under your cheek bones, on your forehead and on your eyes (did you notice by now how much I like Nars Laguna Bronzer? ), a rather natural looking blush like Bourjois Sienna or Mac Melba (a matte shade with that hint of peach and pink) and of course a pretty sheer lipsticks. My three favourites ones are YSL volupté Shine Lipstick in 17, the best of the best (so much I actually wore it for an entire month, no joke) the formula for the volupté Shine are spot on mosturizing and the colour is GORGEOUS – did you notice the packaging too – a treat for your lips and your eyes. The Burberry Gloss in Hibiscus is also a keeper, so easy to maintain and top up! very similar to the Chanel liquid lipstick in Fatale, but so much more easy to wear on a daily basis and the formula is great too! The last but not the least is our drugstore option eventhough for some reasons, Soap and Glory is not a brand that looks like it is drugstore to me, anyway, their lipstick is Man-trap is amazing: it does look like the first YSL option, a bit darker though. It is sheer, mosturizing and the colour is perfect for this time of year to add a bit of spice to an outfit! Next PostNext The Brown Liners.